Google is the most widely used website on the net – being the #1 search engine. In fact, the act of searching for something on the internet has been coined as “Google It.” Most web users flock to this popular search engine and even have Google set as their home page. What is one of the most common searches performed by consumers? Local businesses search terms such as restaurant, business and restaurant name. Google sends 90.62% of traffic. Yahoo! sends 3.78% of traffic. Bing sends 3.72% of traffic. Ask Jeeves sends .36% of traffic. Baidu sends .35% of traffic. Therefore, as a local business, tapping into the power of Google can make or break your bottom line. Gone are the days of street signs and local word of mouth being the primary forces behind a steady stream of fresh new leads. If you want to get an edge, or keep your market share in the local economy, your business needs to have an optimized, solid presence on Google. Companies across the world optimize their websites for Google – as well as other search engines – through a process called SEO (Search Engine Optimization). The common end goal is to gain higher rankings in the search engines so your website receives more attention from searchers. In its earlier days, SEO was straight-forward and simple: put content on your website filled with keywords and a few back links; then watch your ranking soar. However, the process has drastically changed. Over the years, Google has updated its search algorithms several times; and every time they do, the definition of “good SEO” changes along with it. What is a Google Algorithm? Think of it as a recipe that Google uses to sort through the billions of web pages it has to deliver the best results to web searchers. You may or may not have heard of these updates called Panda, Penguin, Hummingbird, Mice, and Pigeon. The names are quite funny to some, but there’s nothing funny about losing your search engine rankings because you weren’t aware or didn’t understand what the updates meant! While no one knows exactly how the search engines decide to rank web pages, there are some general best practices that are proven to result in long-lasting solid rankings. As a local business owner, it is crucial to stay on top of these updates to ensure your site is optimized accordingly. This can be confusing and somewhat overwhelming at first, but it’s something your business cannot ignore if you want to capture your share of the massive online market. 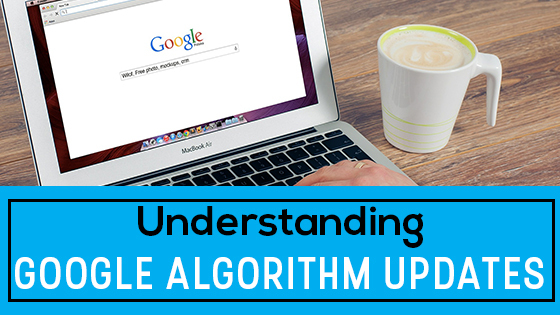 This blog post will serve as a guide to help you better understand some of the major Google algorithm updates and what they mean for your business. One of the great things about the internet is that it contains billions and billions of pieces of information on just about any topic you can imagine. However, this is also one of its biggest flaws. Before search engines, one major online dilemma was connecting internet users with the information they want – when they want it. This is when search engines, such as Google, Yahoo, Bing, and others were born. Search engines use specific keywords—entered by users—to scour the internet for pages that contain those keywords in a relevant context. Search engines navigate the web by crawling, meaning they follow links from page to page. The pages are then sorted by their content and other factors, which are tracked in the index. Each search engine has written formulas containing hundreds of factors (called “algorithms”). As a user performs a search, these algorithms go to work to find get the best understanding of what type of information they are searching for. Based on the keyword terms entered into the search box, the search engines pull the most relevant documents from the index and rank the results accordingly. In other words, they deliver the best results based on each individual search; and they do so within 1/8th of a second. A “results page” comes up with a list of web pages that best match what the user is looking for – and it goes on for pages and pages in most cases depending on the keyword. Those pages with the highest rankings show up first because they are the strongest in terms of optimization, content, and relevance. Paid Ads – Known as “pay-per-click” or PPC, these are ad placements for businesses that use Google AdWords to advertise. These show up at the very top and to the right of the page. Local Listings – These are local business listings that show up in the 3-Pack or 7-Pack area on the results page. These are usually only generated when the searcher includes a location, such as city and state, in their search query. 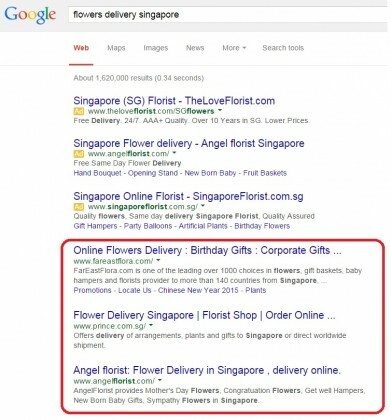 They usually show up right after the paid ads – before the organic results. Organic Results – These are web pages that are ranking organically for the keyword term. The organic results show up below the paid ads and local listings. Depending on the keyword term, videos, news, and images can also show up here. 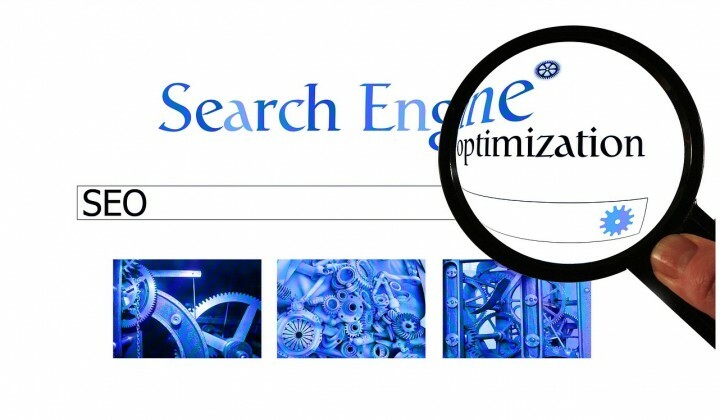 Good SEO can help you gain great organic results. Understanding how all of these factors affect your local business can be daunting. The world is becoming more integrated with the internet every day, and it is important that businesses evolve alongside these changing trends. If your business can’t go online then you are missing a big opportunity. Google is at the forefront of these changes, and as such, it is a good search engine to keep your eyes on. Next, we will break down some of Google’s major algorithms updates and what they mean for your business. Hitting the web on April 21, 2015, this update threatened to have a significant impact on businesses across the globe. Also named, “Google Mice,” the name “Mobilegeddon” is certainly appropriate because this update punishes websites that are not mobile-friendly. Just to be clear, this update only affects searches performed on mobile devices – not searches performed on regular computers and laptops. Before this update, Google relied heavily on content to rank websites. If the content on your website was of high quality and contained some of the keywords someone had searched for, then your website was more likely to rank higher for that term. This is still the case for searches on regular computers and laptops, but not for mobile devices. Now, when mobile users perform a search, those websites that are mobile-friendly and are more likely to rank higher than those that are not. Due to the fact that a lot of local searches are performed on mobile devices, your business could be impacted. As a local business, you are somewhat dependent on customers finding you through Google, as well as other search engines. This applies to a variety of industries that offer routine services (auto body repairs, massages, hair salons, etc. ), professional services (law, accounting, medical, etc. ), and retail & hospitality (restaurants, clothing, hotels, etc.). Depending on the amount of local traffic searching for your type of products and services on their mobile devices, falling lower in the search results can be a huge disaster. 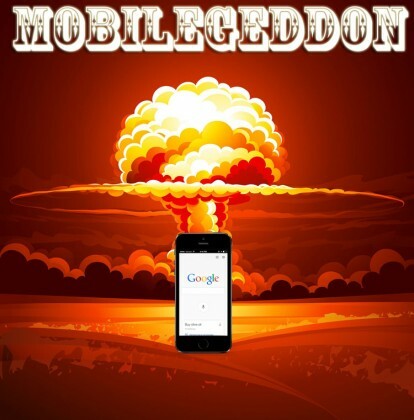 The main goal for Mobilegeddon is to provide mobile users with a pleasant search experience. Nothing is more frustrating than doing a search only to click on a website that takes forever to load, and when it does, it’s almost impossible to find the information you need. To fix this, Google has decided to give mobile-ready websites a higher ranking priority to meet the needs of mobile users. Some analysts have criticized Google’s latest move, claiming that good content is what separates the relevant websites from the less useful pages. Google’s defense is this: if your website takes too long to load and is difficult to navigate on a mobile device, no one is going to read your content anyway. If your local business website was not mobile friendly as of April 21, 2015, chances are that you witnessed a decrease in traffic. If you are not aware of your mobile traffic, take the time to look at the back end of your website now and compare the visitor counts from before and after the update was released. Google has publicly urged website owners to make their websites mobile-friendly for years, and this update might be its way of forcing change upon the internet. Google announced this update months ago. Many larger corporations and business, which have dedicated employees to monitor these issues, were able to optimize their pages well before the update took effect. However, most small local business owners still have no clue the update even took place. Obviously, this places small business owners at a huge disadvantage. So if you can adapt your site to follow Google’s mobile-friendly guidelines, you will have an edge over most of your competition. This system will analyze your website’s functionality on a mobile device. The test only takes a few seconds, and tells you exactly where and why your website might not be properly optimized. Regardless of the final impact of Mobilegeddon, having a website that’s easy-to-read and navigate on a smartphone or tablet is crucial for doing business with today’s mobile consumers. All of this can seem a little daunting, and depending on the current state of your website, it might take some work to fix. However, making your website mobile-friendly is not out of reach. It is recommended that you seek the help of a professional website designer who is knowledgeable about mobile. The Mobilegeddon update is being called the most influential change Google has ever implemented, but Google’s Panda update—first released February 23, 2011—gave it a run for its money. The goal of this update was to highlight websites with quality content and weed out “thin” sites and content thieves. In other words, it was created prevent sites with poor quality content from working their way into Google’s top search results. Before the Panda update, large websites called “content farms” dominated many Google searches. Content farms often stole, or slightly repurposed, content from other websites on a large scale. They would use others’ content, as well as practice keyword-stuffing, to easily create giant websites that would get noticed by search engines. Noticing this, Google implemented Panda to knock them down. It signified a major change for the online world; and that is that low-quality content would no longer be tolerated. Google Panda made it clear to website owners that poorly-written, useless content would no longer rank well. While the Mobilegeddon update focuses on individual pages, Panda analyzes entire websites. If Google deemed a website to be low quality, it would penalize it severely. Google never released exactly how it determines the quality of a website, and this can be a little intimidating for small business owners to deal with. To put it simply, Google Panda is just like a filter. It’s a filter that stops low-quality sites or pages from ranking well in the results. So, no matter how much you invest in low-quality content and no matter how many pages you build, Google Panda will filter them out. It makes a lot more sense to invest in one or two high-quality articles, versus putting money into dozens of articles that won’t make the ranks. 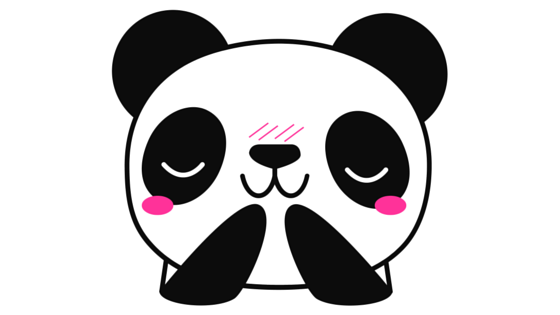 The original Panda update is quite old, and there have been many updates to it over the years. However, many local business owners and lesser-experienced webmasters still build websites that get punished. There are several ways this can happen; as you probably guessed, they have a lot to do with poor content quality, sloppy website design, and robot-like writing. In order to steer clear of Panda’s wrath, you need to think about one thing above all: user engagement. Would you trust the information you are putting out there, or are you simply trying to fill your page with words and pictures? Is your content useful, or are you filling it with excessive keywords to get more traffic? You want to provide a good user experience for your website visitors. You may not have cared about providing great content before. Maybe you only cared what the search engine crawlers did when they ranked your pages. Now, though, Google can quantitatively measure user satisfaction, and they will punish your site if it doesn’t please their search audience. Make sure that your website is not filled with duplicate content that was copied from other websites. Keep in mind that copying in moderation is OK, but it cannot be stuffed with duplicated content. Make sure that your site is not stuffed with keywords just for the sake of ranking, while ignoring how helpful the content is to your visitors. Your content should not sound robotic, but should have that natural human flow that readers can relate to. Make sure that your website is filled with original, high-quality, useful, and engaging content that your audience craves. This is what makes the search engines tick today. If you fail to follow these simple guidelines, Panda will sniff you out and move you to the back of the ranking line. Try to approach your website honestly. Think about the people reading it, and make your best effort to communicate with them directly—with personality, professionalism, and unique content. This update was implemented on April 24, 2012. 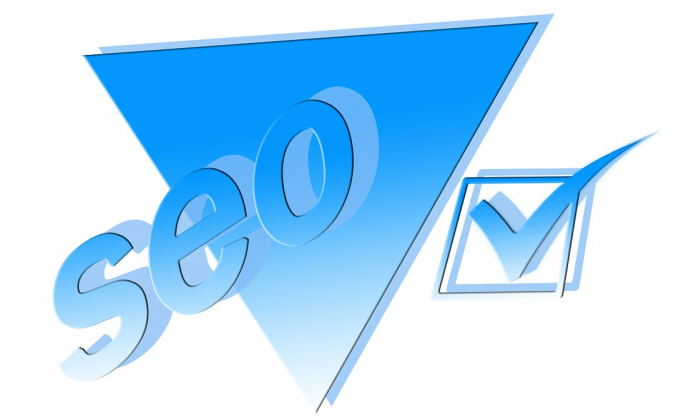 The goal here was to stop web developers from abusing backlinks to rank higher in searches. What is a backlink, you ask? A backlink is a link from one website to another. If Google notices that several well-respected websites link back to your site, it will place your website higher in search results. If a less-popular page is linked to your site, it still helps, but much less so. Eventually, some web developers realized that dozens of links from smaller websites helped just as much as one link from a well-respected site. To take advantage of this, countless companies would create mountains of simple webpages linking back to their main site. The result: these main webpages would rank higher in Google searches, even though no one with a good reputation was recommending them. These companies would also use something called “anchor text” to manipulate the results. Anchor text is the text that is underlined whenever a backlink is created. If Google notices that several websites backlink to a page with the same anchor text, it will rank that website higher in search queries that contain the anchor phrase. Companies would manipulate this by creating dozens of fake websites containing anchor text that mirrored the search phrases they were looking for—and it worked, until Penguin. The goal of Penguin was clear: stop Black-hat SEO practices that involved the manipulating of backlinks to get undeserved rankings. This form of manipulation is called building “unnatural links,” meaning they are links that have not come about from the normal processes of internet usage and webpage creation. The idea was to catch serious offenders, but some good sites were penalized as well. Some of the legitimate sites that were penalized had lots of sites pointing to them with the same anchor text. For example, a site that sold women’s shoes might have had 100 sites that pointed to it with “women’s shoes” as the link text. This looked manipulative to Google because it appeared that the site owner himself had built the links, versus having 100 individual site owners and webmasters come up with their own unique anchor text. Even if the content was high quality, a site could still suffer for a lot of identical anchor text. It is not clear how Penguin discovers which websites are illegitimate or not, but it is safe to assume that the Panda algorithm is involved. If Panda has knocked down several websites for poor content quality and those same sites all link back to a specific page on another site, Penguin will penalize the latter website for unnatural backlinks. If you have an angry penguin attacking your site, how do you fend it off? 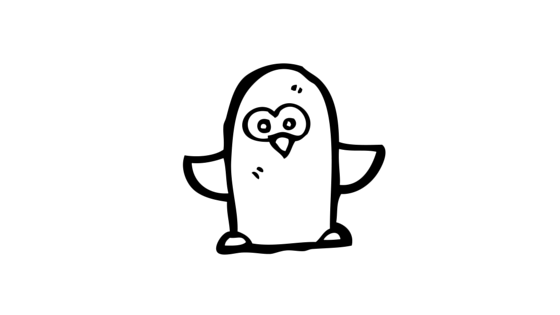 As a local business owner, there is little chance the Penguin update is hurting you. Penguin was meant to prevent web developers from spamming Google searches. Unless you have specifically tried to manipulate Google in this way, it is unlikely your website was harmed. As mentioned before, as long as you are not trying to cheat the system, it is unlikely you will need to change any of your web practices to remain relevant. However, if you are in a situation where too many unnatural backlinks are pointing to your website, you need to get your hands dirty. Does anything strike you as unnatural or artificially manipulated? If you have worked with an SEO specialist in the past, there might be a chance that they have paid for links to your site. This is less common nowadays, but it’s not a bad idea to make sure they have not purchased fake links for you. If they have, ask them to remove them as soon as possible. There is also the opportunity for competitors to use Penguin against itself to knock down rivals. If they cannot use backlinks to up their search results, they can simply create excessive backlinks to their contenders to drop everyone else in the rankings instead. Again, this would be a rare course of action in the realm of local business, but Google has a tool to combat this problem nonetheless. Identifying unnatural links is just half the battle. Analyzing and removing the bad links is the second half. You definitely don’t want to let bad links stick to your site. If there are a lot of unnatural backlinks pointing to your site, you need to get started on a campaign to remove those as quickly as possible. This update produced a lot of angry web developers and SEO specialists. Google is very hush-hush about what goes on under the hood of Hummingbird. To top it off, the update was running for a full month before it was announced to the public on September 26, 2013. What is Hummingbird all about? While Panda and Penguin were designed to stop people from cheating the system, Hummingbird kind of revamped the entire system by placing focus on the intent of the searcher. Gone are the days where the physical set of keywords entered into the search box determined what sites would show up in the results. In essence, Hummingbird is paying attention to each word in a search string – the whole conversation or sentence – to try to figure out what the user is really searching for. It’s about understanding the real “intent” of the user and serve up web pages that match the “meaning behind the words;” instead of the actual words. User intent refers to anything customers intend to look for when they conduct a search query on the Internet. There are typically three main types of user intent: navigational, informational, and transactional. Navigational intent is when a user wants to get to a certain site. If a user tries to look for information, it is called informational intent. And when a user wants to perform an activity or purchase something online, it is considered transactional intent. Hummingbird is Google’s way of using “conversational search” terms to provide better results that will more closely match what they’re looking for. With the Hummingbird update, Google uses natural conversation recognition to figure out that “best” means “highly recommended,” “places” means “stores and shops,” and “get” means “purchase.” So it will produce results that best fits this objective. 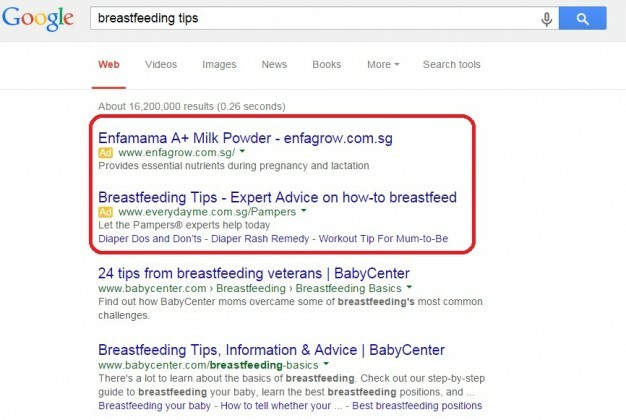 Before Hummingbird, Google may have produced results that were all over the place based on that set of keywords. 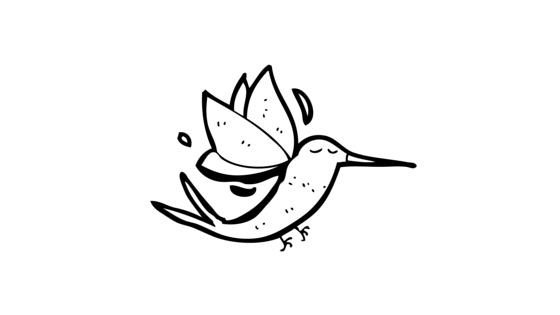 A website is littered with generic keywords such as “where to find the best coffee in town?” and “best coffee in location X.” Before Hummingbird, this website would have an advantage any time someone entered those exact keywords. Now imagine another coffee shop website. This time, the business owners focused on creating great content that includes these same keywords, which was useful to readers and answered specific questions in-depth. This website is not littered with generic keywords—because of the damaging effect on the content—and is well-respected and useful. Before the Hummingbird update, this website would not rank high in Google searches using generic phrases like “best coffee in location X,” while the former website would. With the implementation of Hummingbird, this website would (theoretically) rank higher because Google is placing less emphasis on keywords and more emphasis on what the search query is actually asking for. Hummingbird punishes websites that focus on keyword rankings exclusively. This means websites trying to take advantage of keywords will fall in Google’s rankings. Websites that appear to provide the best answers to common questions will thrive. When it comes to SEO, instead of thinking about “what” people are looking for, think about “why” they are looking for it. A content strategy should attempt to answer their needs. Create content that answers questions, not content that is riddled with keywords. Using keywords is fine, but do not jam them into a small page of content thinking it will boost your results. Aim to create content that is useful to as many people as possible. When someone asks Google for the “Best coffee in town,” you must think about what they mean. Do they mean the most flavorful coffee? The most prestigious brands of coffee? The coffee shop that is the most highly recommended? You should aim to create content that answers as many of these questions as possible in the most organic way. Create content that people will want to see, and Google will help you put it right in front of them. Google wants users to find the best content available when searching on their platform; if they cannot do that, people will no longer use them. 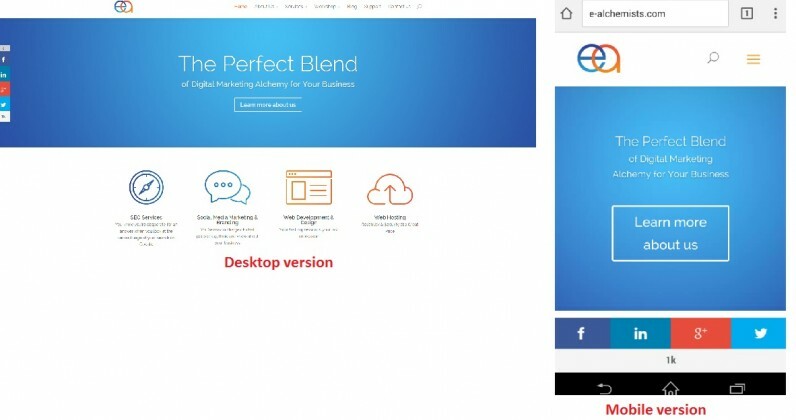 Therefore, focus on creating quality, informative, and useful content; this is the best strategy for optimizing your website for Hummingbird. Pigeon is the only update covered in this guide that was designed specifically with local businesses in mind. Released on July 24, 2014, Pigeon set off to revamp their local search parameters. The goal was to increase the quality of local searches, as well as give preference to local searches in the results. Google has stated that Pigeon’s local algorithm works similar to the page rankings of the standard search. For starters, Pigeon synced search results for Google Maps and Google web search. In the past, users would find different results depending on the Google platform they were using. With Pigeon, the highest ranking local businesses on a web search will also be the highest ranking businesses on a Google Maps search. Pigeon also provided much more accurate location and distance information for people looking for directions. On top of that, it prioritizes businesses that are in close proximity to the user. This actually works to the disadvantage of some small businesses because it gives websites with larger SEO footprints an advantage. For starters, list or claim your listing on Google My Business. Ever wonder how Google knows the operating hours, location, and specifics of local businesses in your area? It is because the owners of those businesses listed their details on Google My Business. Google is not going to do this for you. If someone searches the exact name of your business, you want them to get all of your details fast. If you are not already listed on Google My Business, take the time to do that now and complete your profile 100% for the best results. You should use keyword-optimized descriptions (not keyword-stuffed) on your local business directory profiles because Google is now taking this into account. Don’t stop at Google My Business; get listed in other directories like Yelp, Yahoo Local, Bing, Local and related directories. 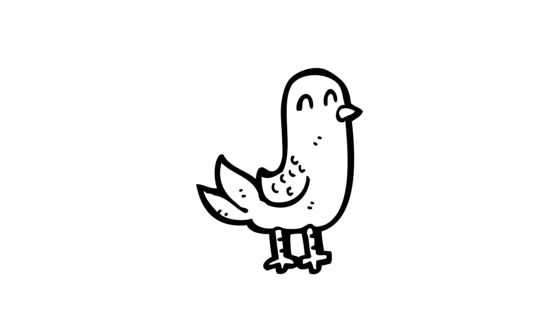 Remember, Pigeon gives priority to websites like Yelp in local searches. Do not bother fighting against this; get your business listed on all the directory websites relevant to your industry as it will improve exposure for your business. Most importantly, manage and maintain all of your listings going forward to keep them strong and solid. Encourage your customers to leave reviews as this will also help your rankings, as well as convert more prospects into customers. Google’s algorithm updates can be difficult for small business owners to keep up with, as well as remain compliant. The world is becoming more and more integrated with the web as each day goes by. So it is important that local businesses do not resist this change and embrace new processes related to online search. Evolving your business as the world evolves around you is vital to longevity. While no one can predict the future, Google is certain to remain the internet’s nerve center for quite some time. Thus, it is important you understand how it works and use that knowledge to your advantage. For years, local shops and stores relied on good customer service, traditional advertising, and word of mouth to get them by. You still need all of those things, but the rules of the game have changed. Search engines are the most common method of finding local products, services, and businesses, and people are going to continue to use them. Every time Google makes changes to its search parameters, the entire SEO world gets thrown into frenzy. There are always businesses complaining, and always dozens of experts trying to beat the system and get the best results. You need to ride these waves as best you can. Ignoring what Google is looking for when it comes to ranking your website will only work against your fight for more local customers. If your competitors are practicing great SEO and you’re not, you could be in jeopardy of losing a bulk of customers to them. At the end of the day, the best way to survive any of these updates is to continue to optimize your website, claim and optimize your local listings, create good optimized content, make sure your website is mobile-friendly, and stay away from keyword-stuffing and other black-hat SEO techniques. We hope you’ve found this guide useful when it comes to understanding the basic principles behind Google’s various massive and multifaceted search algorithms. Even for the most seasoned SEO specialist, keeping up with these changes can be challenging. Staying on top of search engine technology requires dedication and focus. But many small business owners do not have the necessary skills or time to stay in the loop with ever-changing internet technology. Some have tried and ultimately became tremendously confused and frustrated in the process; with no results to show for it. We provide businesses in the area with solid internet marketing advice, guidance, and coaching. In addition, we can assist you with expert website development, content creation, social media management, and reputation management. It is important to recognize that your business may excel in certain areas and falter in others. Knowledge is key and our team of specialists will help you analyze your current web presence, as well as move towards making massive improvements. Contact Us if you would like professional help devising a plan of attack for ultimate exposure and online success.